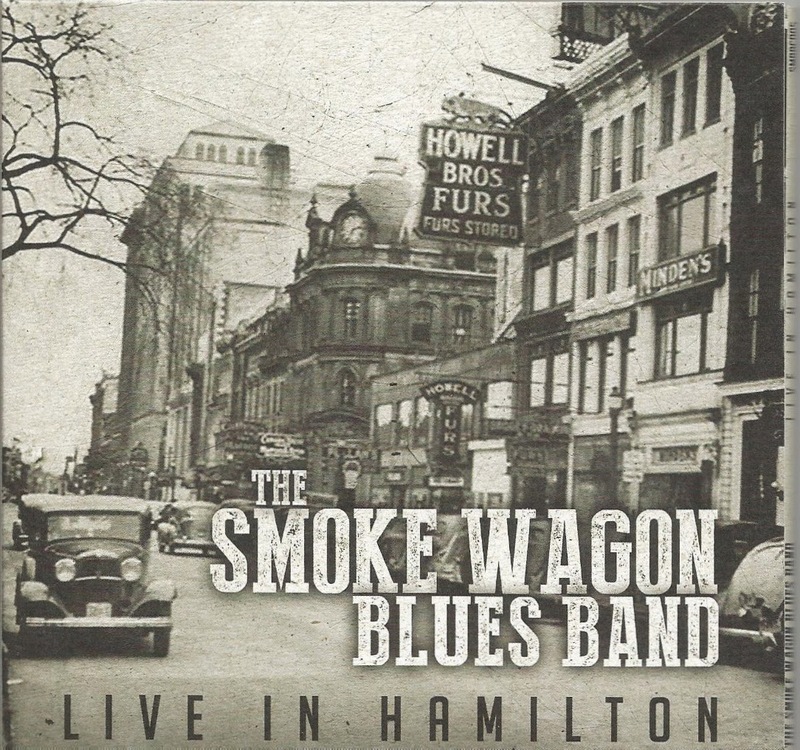 I just received the most recent release, Live In Hamilton from The Smoke Wagon Blues Band and it's a cool jam with serious musicianship paired with a lot of fun. Opening with Bill Wither's Ain't No Sunshine When She's Gone, SWBB gives it a slinky blues feel (think The Thrill Is Gone)for a really pleasing start. Gordon Aeichele lays down some really sweet sax work on this track and Corey Lueck handles vocals. Hen House Hopping is a cool boogie track and bassist Jason Colavecchia lays down a nice bottom. Nick Succi rolls the piano and Lueck is grinding away on harp, trading riffs with guitarist Mike Stubbs. Very cool. Josephine is a super track with swamp funk and jazz. With a sticky, slinky strut Lueck pulls you into the track and the band sings loose harmony for one of those cool tracks that you just like to sit back and nod to. With a clean solo on piano from Succi, sassy guitar riffs from Stubbs and deep throated sax work from Aeichele this is one of my favorite tracks on the release. A slight country rock flavor gives it just a touch of "The Band". Tibor Lukacs is tight on bottom and Colavecchia steps out a bit as well keeping the funk funky. Wrong Side Girl is a rocking blues track and Stubbs gets a real nice grind on his guitar leading to some complex boogie/jazz piano from Succi. Colavecchia takes a nice long phrase on this track and Aeichele rips it up on sax. Another cool track. I Can't Change is a solid ballad with Lueck and Aeichele taking the spotlight. Fine Furred Momma is a straight up boogie with a solid bass lead from Colavecchia. Lueck does some of his best vocal work on this track and also featured on the harp cranks this track up. Excellent! Succi and Stubbs trade riffs making you really appreciate live concert tapes. You never get to hear this type of interaction on studio albums. Barton Street Blues has a real easy country feel (like Up Against The Wall Redneck Mothers) featuring band members all singing and flowing piano and harp. This is likely a real favorite in live environments and while drinking! 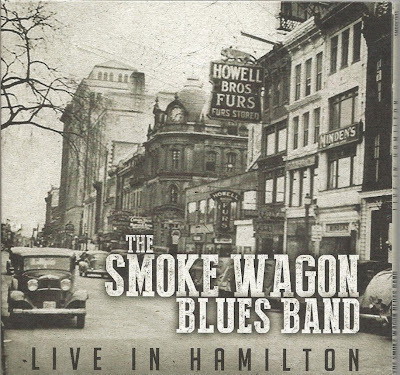 Smoke Wagon Boogie cranks it up a few notches with natural breaks for band participation. This is a track formatted along the lines of an Asleep At The Wheel track where the band lays it down, has fun and gives the audience room to participate which they always do. Great boogie jam! Lonesome Whistle Blues with a pace like It Hurts Me Too or Key to The Highway gets a great blues groove going. Succi and Aeichele both play strong instrumental roles on this track in support of Lueck's vocals. Feeling Of The Witch (a more than 10 minute jam breaking from Traffic's/Joe Cocker's Feelin' Alright and morphing into Donovan's Season of the Witch)is a really nice opportunity for each instrumentalist to lay it all out. Super solos from Stubbs, Lueck, Succi and Colavecchia highlight this track. Wrapping the track is Muddy Water's Blow Wind Blow but done boogie style. A nice walking bass line from Colavecchia sets the pace. Lueck takes this opportunity to play some of the best harp on the track and really blows it out. Aiechele steps up for some soulful sax work on this track but handing tyhe spot back to Lueck and his vocal charm to take it home. This is a fun release with some great instrumental parts and a live release that was definitely enjoyed by the audience (and the listener).